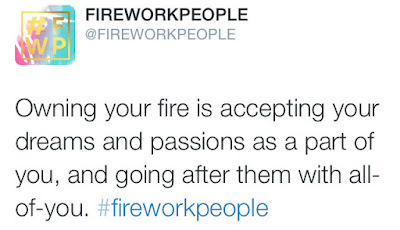 I would like to introduce you to #FireworkPeople. Founded in America, a network was created for strong women, by strong women. They have a dream, a passion, a fire. "We are a community for women who want to change the world. Encouragement is how we roll." 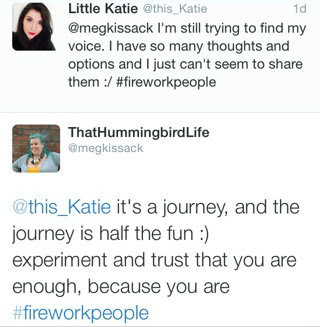 #FireworkPeople bring together women who have a passion, you know, that fire in their belly to change the world. A bit ambitious, you say? Not when we all come together and support each of our dreams. 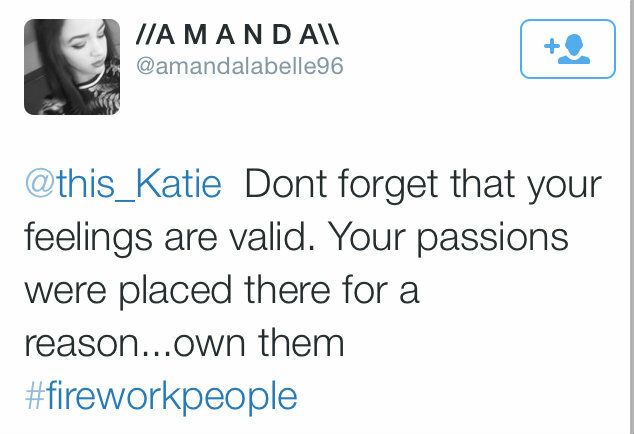 Just by "knowing", your passion, you can make a difference. 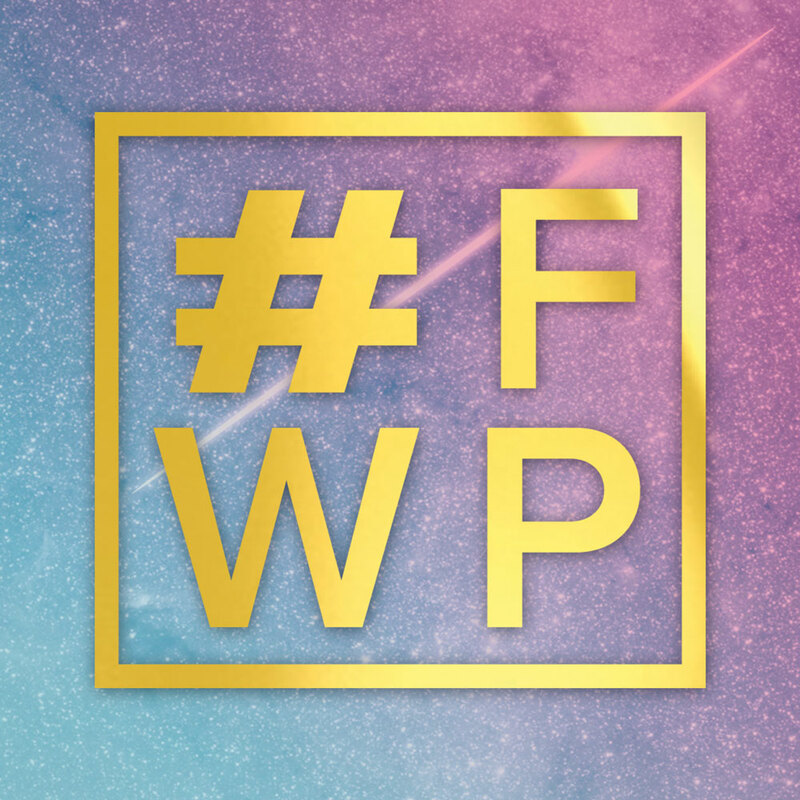 Regularly they host twitter chats which I have been most inspired by. It is fantastic to see the way people come together just to spread love and positivity. The overwhelming support that I have received from it moved me so much the other night I just couldn't keep this network to myself. The whole world needs to know! "We believe that when you own your fire and put it into the world, change in inevitable." The twitter chat #fireworkpeople discussed finding your fire, owning it and restrictions. One of the chat questions the other night was, "what is getting in the way of your own fire and spark?" I wasn't the only who admitted that ourselves and the fear of failure can oppress the spark. I have been feeling restricted to what I can say to people. Whether it is an opinion or a feeling. It is very difficult for me to feel feelings, I push them away as if they don't matter. Through the connections of the internet, I have received the true positive energy from so many other women. They have reassured me that I have a voice. There are so many words of encouragement through the twitter chat. It is so important not to be pushed down by any factor, external or internal. Don't let society stop you from feeling that fire and don't let yourself stop you from feeling it either. It is a network of acceptance and love. 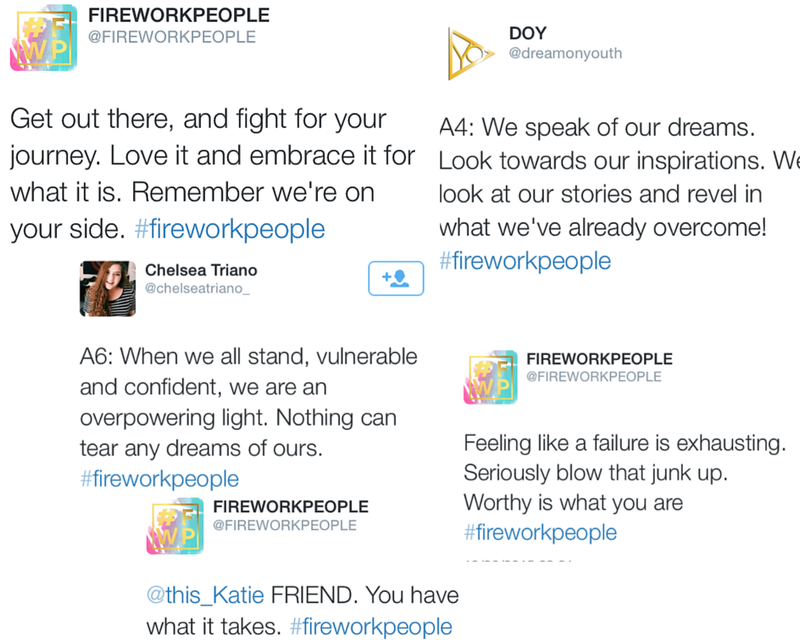 You can follow them on twitter @fireworkpeople and follow the chats with the hashtag #fireworkpeople. You won't regret it. I am so excited to have found this community. I can already feel that fire back in belly. I am ready for the world to see what I am made of. So, have you found your fire yet?